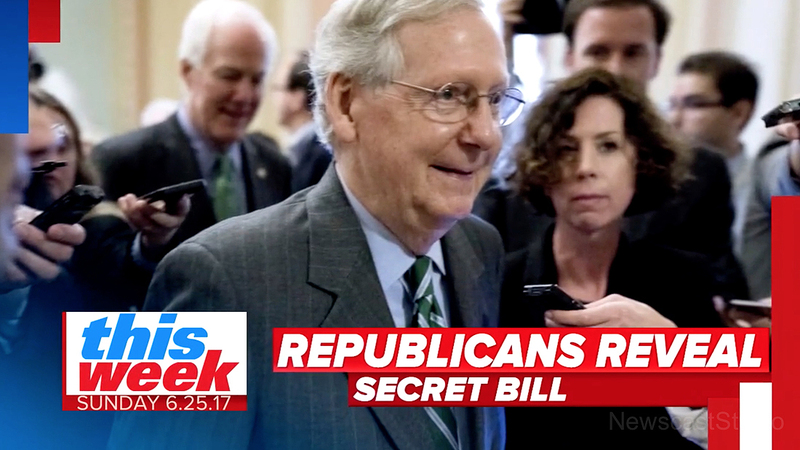 ABC News‘ Sunday morning political show “This Week” launched a new open and theme earlier in June, with an insert graphic coming in late July. 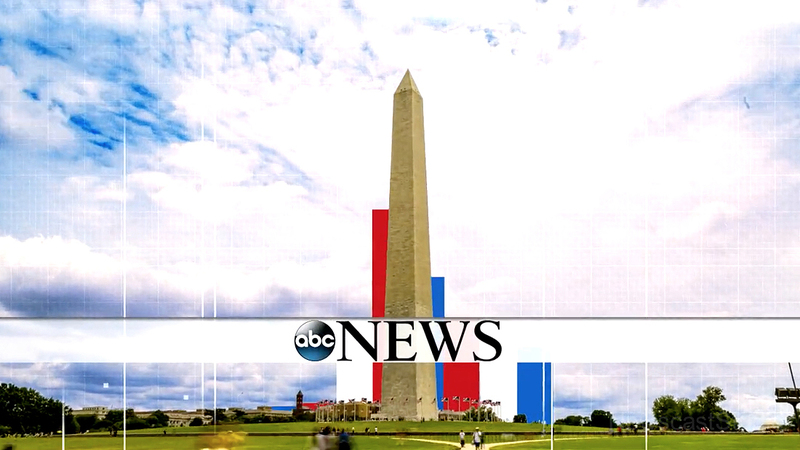 The new open combines thick red, white and blue vertical bands over stylized photographs of Washington, D.C. landmarks and a subtle grid texture with a drum-heavy version of the show’s theme. The show’s teases incorporate a mix of lower third banners with all caps text previewing story topics and “floating” pull quote-style text in sentence case. 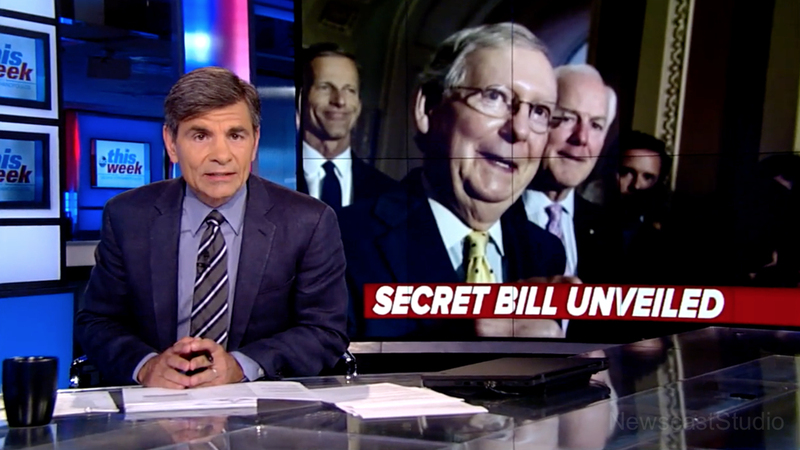 The new look also extended to the video wall graphics used as OTS elements behind anchor George Stephanopoulos. 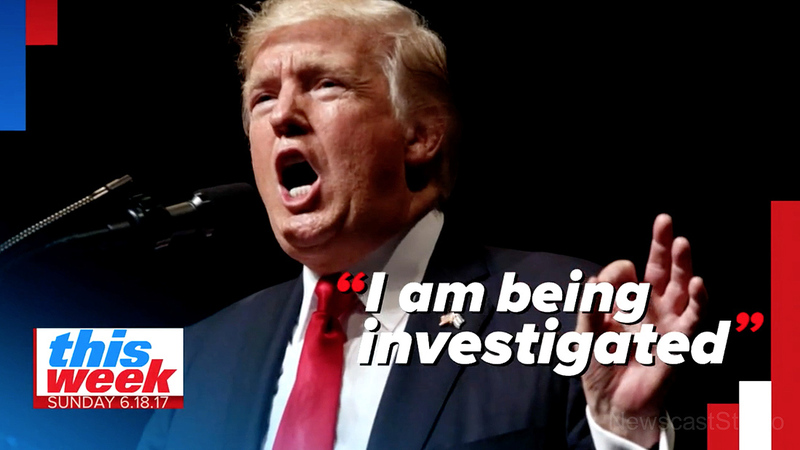 The strong, italicized typography, color scheme and use of the thick colored bars has some similarities to the new open and graphics MSNBC’s “Hardball” debuted earlier in June 2017. The “Hardball” look, however, uses more curved “ribbon” elements than the “This Week” design and also eschews D.C. imagery in favor of spotlight host Chris Matthews. 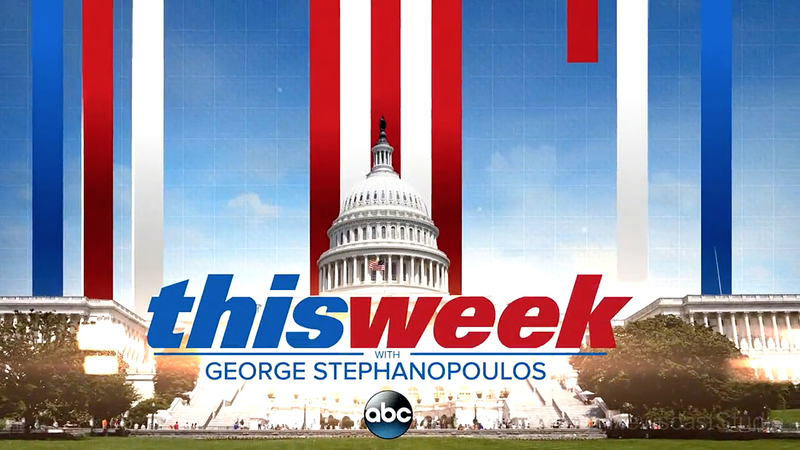 “This Week” did, not as of this writing, replace its the lower third insert graphics used during the bulk of the show.